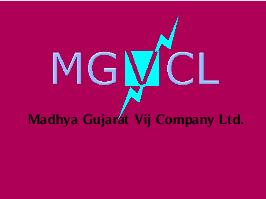 MGVCL Centralised Recruitment for Vidyut Sahayak (Junior Engineer - Electrical) behalf of UGVCL, DGVCL, PGVCL, MGVCL & Vidyut Sahayak (Junior Assistant) behalf of UGVCL, DGVCL, PGVCL, MGVCL, GUVNL and GSECL. Other details like age limit, educational qualification, selection process, application fee and how to apply are given below. Full time/ regular B.E. (Electrical)/ B.Tech (Electrical) only from Recognized University. There is no minimum percentage requirement. Graduate in any discipline with completed Regular / Full-Time Course from recognized University. There is no minimum percentage requirement. The candidates should have a working knowledge of computers and English language, which shall be assessed by the Company through the pre-employment test.